Met with an underwhelming critical reception but a hugely enthusiastic public reaction, Elf: The Broadway Musical broke box-office records three times at its Al Hirschfeld Theatre venue, grossing over a million dollars during the Christmas week and becoming the third biggest Broadway show of the 2010 Thanksgiving weekend. Composed by Matthew Sklar and Chad Beguelin (both previously responsible for The Wedding Singer), this official soundtrack of the Casey Nicholaw-directed production suggests the wildly contrasting responses should have been somewhere in the middle. Based on the 2003 Will Ferrell comedy, which sees a North Pole "elf" attempt to reunite with his New York father after discovering he's actually a regular human being, its 17 numbers echo the playful nature of the plot line, with Doug Besterman's jaunty orchestral arrangements the perfect foil for the relentless comic one-liners and classic show tune melodies. But despite the best efforts of Sebastian Arcelus (in the lead role of Buddy), Amy Spanger (who plays love interest Jovie), and Mark Jacoby (who stars as the workaholic dad Walter), the first half of the show is pretty undistinguished, with only "I'll Believe in You," a heartfelt waltz-style ballad where Emily (Beth Leavel) and Michael (Matthew Gumley) declare that their belief in Santa will only be restored if they get to spend more time with Walter, standing out from the routine dance numbers and unremarkable singalongs. However, the second act is much more likely to inspire some festive cheer, whether it's "Nobody Cares About Santa," a big-band showstopper performed by a group of out-of-work Santas at a Chinese restaurant, the regretful romanticism of "Never Fall in Love (With an Elf)," or the feel-good tap dancing "Finale." 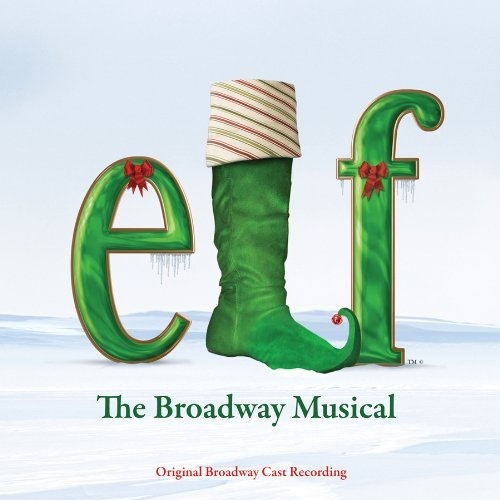 Elf: The Broadway Musical never really reaches the heights of its composers' previous score, but it's still a fun, if lightweight, companion to one of the most popular Hollywood-to-Broadway adaptations of recent times.